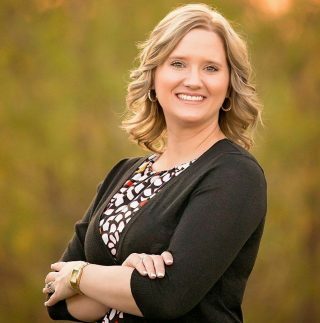 ICAN is excited to announce Jeri Jones as our newest Chapter Leader! What area does your chapter serve? Tulsa, OK – We serve northeastern OK.
What part of being an ICAN Chapter Leader are you most excited about and why? I am really excited to be coming in during our chapter’s tenth year. I’m planning a 10-year birthday bash for our chapter, and I hope that it will kickstart a new beginning for our chapter. We have a large group, over 700 members, but outside of our Facebook group we aren’t very active. I have a lot of ideas about how we can (hopefully!) change that! I was born and raised in Coweta, OK. I now live in Owasso, OK with my husband (married 7 years this month, together 11) and 2 boys (5 years and 16 months). I graduated from Northeastern State University in 2009 with a Bachelor’s degree in Accounting and Finance. After 9 years working in the energy industry, I recently started working full time for a large utility company where I do corporate income taxes. I am also a doula and certified childbirth educator; I will soon complete my Hypno-Doula certification and also begin Stillbirthday training. If you could change one thing about the birth climate in your area, what would it be? We need more hospital access to VBAC, particularly for moms who have had more than one cesarean. Only one hospital and group of doctors here will consider VBA2C. For moms who have had more than 2 cesareans, we have zero options in Tulsa. Even our options after one cesarean are VERY limited. I am so incredible grateful for ICAN. It has made such a huge difference in my life. I’ve been a member for about 5 years now, and it has absolutely been my favorite group of women. I’ve loved interacting with the other ladies and sharing knowledge and supporting each other. I’m excited to step it up a notch and really make a difference in our community. Thank you so much for this opportunity! Where can we find more information about your chapter? Check out our chapter’s Facebook page here, for more support and meeting and event info!